Audi expanded its SUV offering in 2011 by adding the Q3 to its line-up. 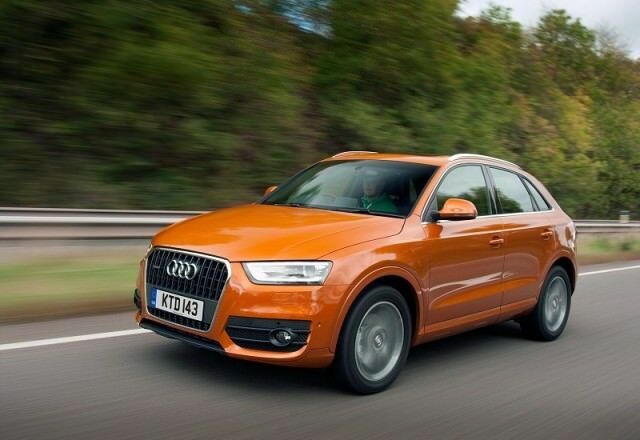 Audi expanded its SUV offering in 2011 by adding the Q3 to its line-up. Slotting under the Q5 it's a compact choice competing against premium rivals like BMW's X1 and the Mercedes-Benz GLA and a whole host of non-premium offerings like the Toyota Rav4 and Skoda Yeti. Introduced in 2011 the Q3 expanded Audi's SUV line-up to three, it offering a compact choice for SUV buyers wanting Audi's four-ringed badge on their driveway. With its chunky looks and off-road stance the Q3 might look ready to take on off-road journeys, but all but a handful of them actually feature Audi's quattro four-wheel drive system. That's thanks to the entry 2.0-litre TDI turbodiesel model's greater economy and emissions in front-wheel drive, though should you need the added security and traction of four-wheel drive there are some available in the classifieds. The 2.0-litre engine is most prevalent in its 140hp form, though a few are available with the 177hp version of the same engine. The Q3 is also available with a 2.0-litre TFSI petrol with 170- or 211hp, the latter only offered with its S tronic automatic gearbox. The 140 TDI can also be found so equipped, but if you're keeping an eye on costs it does increase emissions - and hence tax. Trim lines include SE and S line, the latter adding more equipment and a more assertive style inside and out. It also comes with firmer, slightly compromised S line suspension - though that was a no-cost delete option from new so check the specification carefully. It rides far better without it. All come decently equipped, and while space inside isn't hugely accommodating four adults will squeeze in in relative comfort for shorter trips. Likewise the boot isn't vast, but if space is what you're after there's always the bigger Q5. The classifieds reveal it to be the 140hp 2.0-litre TDI in front-wheel guise, with either SE specification or S line. We'd take SE, unless the S line car does without the stiffer, more compromising suspension. Choose the manual over the automatic, too. Most won't venture off-road so there's no issue in having the big-selling 140 TDI engine with front-wheel drive only. The Audi Q3 is a stylish, frugal and beautifully built car, which might not offer quite the luggage and passenger space of mainstream rivals, but they can't match the Q3 for badge appeal and the feel-good factor it brings.